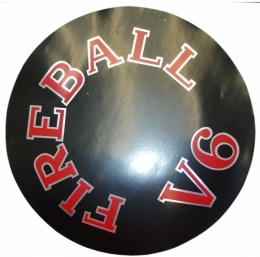 Fireball V6 air cleaner decal. Replaces original GM part #1366177. Top quality GM licensed reproduction. Sold individually. MADE IN THE USA.